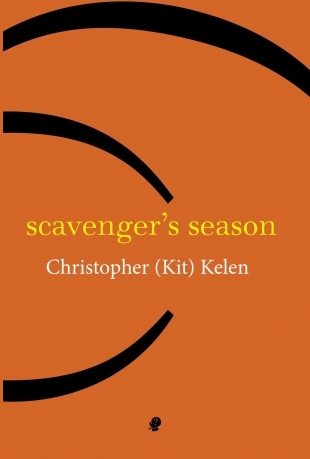 As the publisher says, Christopher (Kit) Kelen’s Scavenger’s Season represents a quarter century’s poetic engagement with a place. In this case the place is five acres between two forests – at Markwell via Bulahdelah, in the Hunter Region, on the NSW North Coast. Kelen doesn’t praise the Australian bush or damn it; he explores nature without judgement. He introduces the reader to his explorations without overt value judgements, yet his perceptions – from ‘silence’ to ‘nothingness’ – let us enjoy his reactions on a philosophical level as well as a sensory on. Hence, as I mentioned before, it is both a poetry of intelligence and imagination. is born again, and messianic so. so many perfections to life. then death must be perfect too. proof. and also it’s a dare. there’s grief. who is it sings in my breast? But it’s no use, I feel frustrated as I dip forward and backward in this text like a punchdrunk flying ant! I want to quote to you this whole wonderful cross-woven web of sensory delights and philosophical meditations, this moss upon bright moss enriching my view of the world around me. Like Thoreau’s Walden journals, Scavenger’s Season is Kit Kelen’s personal journey about building and exploring, about man in nature and, conversely, the nature of man. One man’s experience, for sure, but through its heightened examples, a universal application for contemporary citizens clustered in unnatural air-conditioned urban zones where lawn-mowing is the closest they ever get to nature, if they have a lawn, a left over from British rule. This entry was posted in Andrew Burke, Christopher Kelen, Issue 15, Puncher & Wattmann, Scavenger’s Season and tagged Australian bush, Australian Literature, Australian poetry, Bulahdelah, Markwell, poetry, University of Macao by Mark Roberts. Bookmark the permalink. Ha! First review I ever read that mentioned dog poo! Nice and earthy, I’m sure Kit would approve. The book sounds wonderful.